"They told me Hillary was the one who supported fracking." "You are not good enough for freedom." David Hogg in so many words. Democrats introduce legislation to just use Facebook data for the 2020 census. Robert Mueller claims, he can see Russia from United Arab Emirates. Parkland High School reports that currently no mass shooters have been registered with the local sheriff, FBI, or Facebook. Planned Parenthood needed US taxpayer funding for marketing to keep America first in the global child killing sweepstakes. Someone has to counter Peru's publicity campaign. Archaeologists in Peru may have found the site of the largest single mass child sacrifice in world history. More than 140 children were ritually killed in a single mass sacrifice some 550 years ago in Peru—and archaeologists think they know what prompted the act. Socialized health care is universal health care. Tell that to Alfie. It isn't misogyny if she's a conservative. 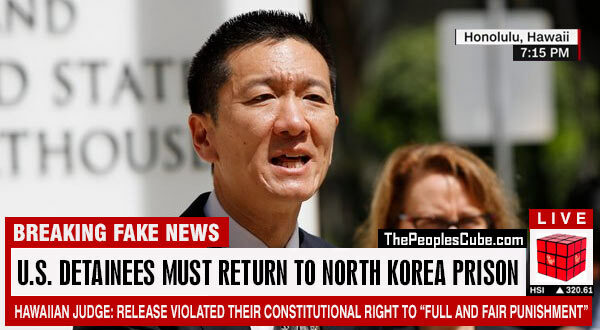 Federal Judge in Hawaii rules that the release of three US detainees from North Korea violated their Constitutional right to "full and fair punishment"
Just because Obama's pen came to an agreement with Obama's phone doesn't make it a treaty. Your most equal contribution has been turned into a breaking fake news story on the People's Blog, with a well-deserved ushanka tip. Three extra rations for the comrade, and the reduction of any future sentence by at least 10 years! Would anyone care to buy a used nuclear arms deal from John Kerry? The Mueller investigation has finally determined that the lyrics to Louie Louie are not about Trump and Russian collusion. Fun fact: Obama used more of our national intelligence assets against Trump than against terrorism. 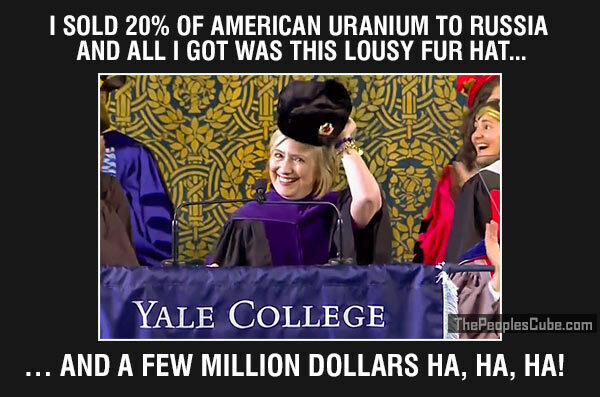 "All I have to show for the uranium one deal is a silly Russian hat... And a few million dollars ha, ha, ha!" 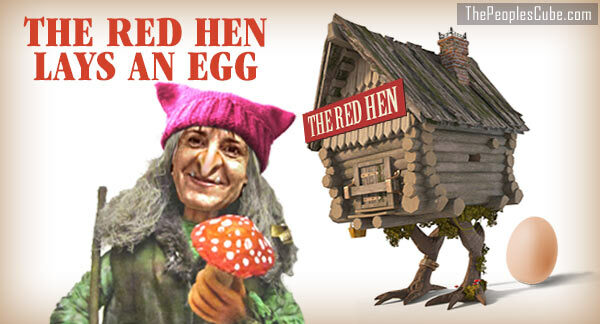 laughed Hillary at the Yale commencement speech yesterday. Thanks for the idea, Margaret! John Kerry to head Iran's new negotiating team. "Wanna see Hillary's missing e-mails?" The FBI's idea of protecting the Trump campaign from the Russians. Independent researchers have found that if you wrap fish in the New York Times it smells worse. "Americans want A Better Deal For Elected Officials, with Better Jobs For Elected Officials, Better Wages For Elected Officials and a Better Future For Elected Officials," said Nancy Pelosi on why to vote Democrat in 2018. Union of Concerned Scientists time-traveler from the year 6491 says it's five-minuets-to-doomsday-clock-midnight in 6491 too. Supreme Court finds Socialism must not be contemptuous. Supreme Court finds Socialism must not be contemptuous - ACLU disagrees. Samantha Bee writers meeting video found. Ivanka was actually only supposed to be called a "freckle-less aunt." All forgiven. The crystal People's Cube says: If President Trump did what Democrats say they want him to do (ignore the law so families aren't separated), the Democrats would then turn around and call for his impeachment for not following the law. Question: Who wore the not caring/jacket combo better? The Democrats are working themselves up to another Fort Sumter. Ushanka tip for the idea! Everyone should be able to step foot into the United States and be granted asylum... except of course for Cuban refugees because Obama outlawed Cuban refugees from stepping foot in the US and claiming asylum. They have to be sent back. Anyone for the elimination of ice is for global warming. Democrats 4th of July question: What nationality do you self-identify as? The Democrats are the only political party in history dedicated to the idea of maintaining their political base in a state of unhappiness. 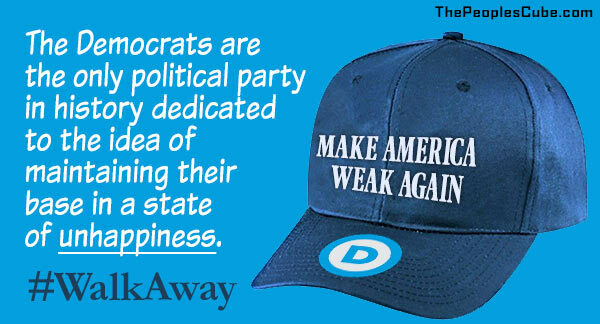 #WalkAway from #BlueWave: don't Make America Weak Again! If we had socialized health care we could deny it to conservatives, leftists announce wistfully. Current Truth: doubting your country's security services makes you a traitor. In California they give you free hypodermic needles to inject illegal drugs but they will put you in jail if you possess a straw. Economic change is the new climate change. Venezuela's Maduro bravely battles against economic change by eliminating five zeros from all currency.